On Wednesday, April 10 at approximately 11:30 p.m. Sapulpa Police Officer Kendric Davis was dispatched to the area of Brown and Cobb in reference to a male and female physically fighting outside a residence on North Brown. Dispatch advised that a person had driven by and witnessed a white man putting his hands around the neck of a white female. Officer Davis made contact with a white male he identified as Westen Hurst (Defendant) when he arrived at the residence on North Brown. The Defendant stated that he and his wife, the “Victim,” became upset with each other and began fighting outside their house. The Defendant stated that during the argument he pushed the Victim in the chest with both hands against a brick wall. While also investigating the scene, Officer Cansas Pate made contact with the Victim. The Victim indicated that she and the Defendant began fighting while inside their home. She further stated that she followed him outside where he pushed her into a brick wall and punched her in the face with his fist. Officer Davis was able to confirm through a face-to-face interview with the Victim that she had sustained a cut to her right eye, a cut on her nose, and scrape marks on both her knees. Meanwhile, the Victim’s father, “Victim #2,” was inside the house. He stated that he lived at the home with his daughter and his son-in-law. Victim #2 witnessed his daughter and the Defendant arguing outside the house near the front door and then saw the Defendant push the Victim against the brick wall and then punch her in the face with a closed fist. Victim #2 said that he attempted to defend his daughter against the Defendant by wielding a stick he found in the yard. However, when he reached the Defendant, the Defendant was able to get the stick away from him and to hit him in his arms with it. Officer Davis observed red scratch marks on Victim #2’s left and right forearms. 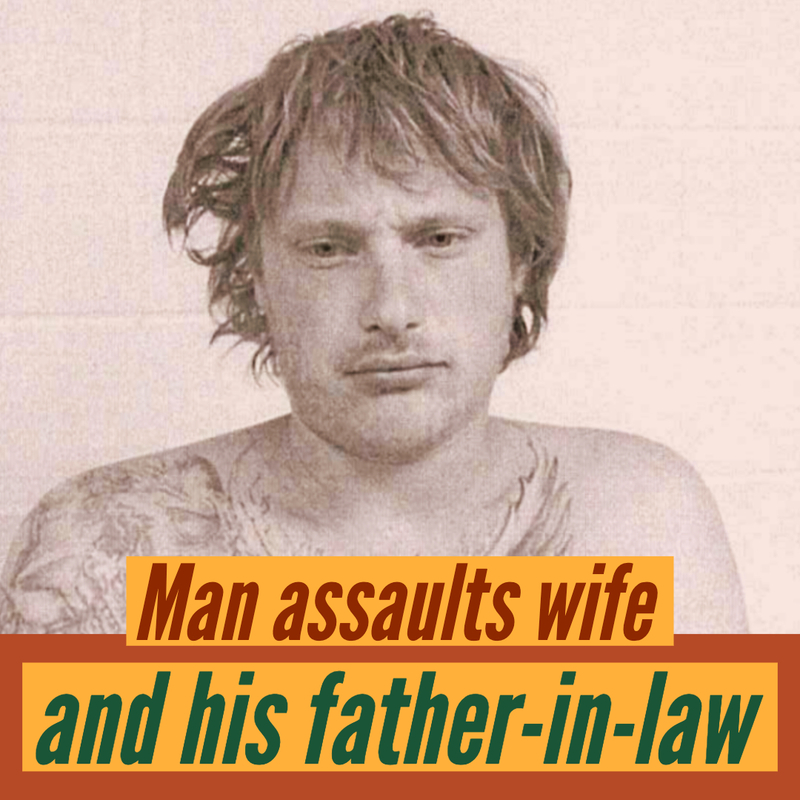 The Defendant was arrested for domestic violence. A criminal history search revealed no prior felony charges.